We are the Manning's, Mike, Lois, and Randy our dog. We are seeing God's country. 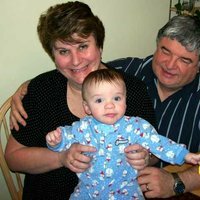 We are Mike and Lois Manning from Worcester, MA. We have been fulltime RVers for three years and travel with our Labradoodle, Randy. 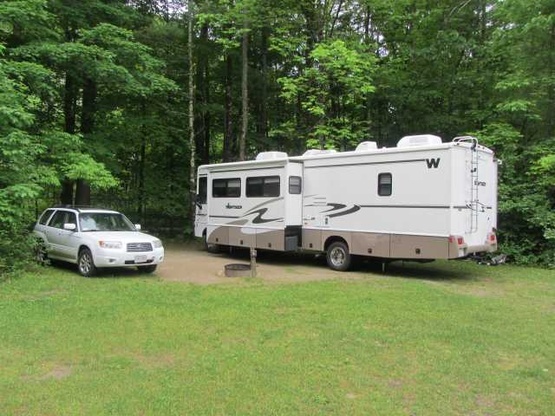 We travel in our 34ft Winnebago Sightseer and tow a Subaru Forester. We love seeing our beautiful country and are currently working our way through the west to Albuqueque, NM. On September 1, 2016 we will be volunteering at the Balloon Fiesta for six weeks. This will be the highlight of our travels so far. We have been married for 46 years and have two grown sons and two grandsons, 8 and 6 years old. I have computer skills that I would be more than willing to share with whomever can benefit from it. We have not done any boondocking yet, except for many nights in Walmart parking lots and truck stops. We grew up in the small town of Hopedale, MA. We then lived in Holden, MA for almost thirty years. 2006 Winnebago Sightseer, 34ft, class A with three slideouts. We hosted this couple for 2 nights. We had a great time visiting and getting to know them. We were able to exchange travel information and look forward to visiting sights they suggested in Massachusetts. Great couple and would welcome them anytime!